The Heaviest Rock Cover Of A Grease Song You’ll Ever Hear. Posted on March 9, 2015 by Big Red	in Music Booty and tagged cover songs, grease, heavy metal, music videos, rock videos, the want that I want, tragedy, tragedy cover. This music video from rock outfit Tragedy entitled All Metal Tribute to the Bee Gees & Beyond is a masterful cover version of the iconic John Travolta and Olivia Newton-John track You’re The One That I Want. The fact that it’s a heavy metal cover is one thing but there’s so much more going on in this track with homage paid to Nirvana, Black Sabbath, Twisted Sister and more. Grease Star Jeff Conaway In Coma. Posted on May 19, 2011 by Big Red	in Movie Booty and tagged bobby wheeler, clebrity rehab, grease, jeff conaway, jeff conaway hospitalised, jeff conaway in coma, kenickie, taxi. 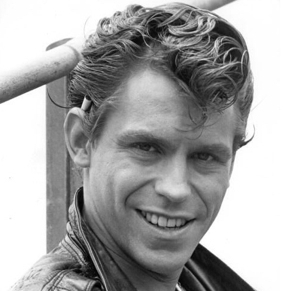 Sad news today that actor Jeff Conaway famous for his role as Kenickie in Grease and Bobby Wheeler in Taxi has been hospitalised after he was found unconscious at his home in California. The 60 year-old, who is in a coma, allegedly overdosed on pain killers. It is uncertain at this stage if the actor will make a full recovery.